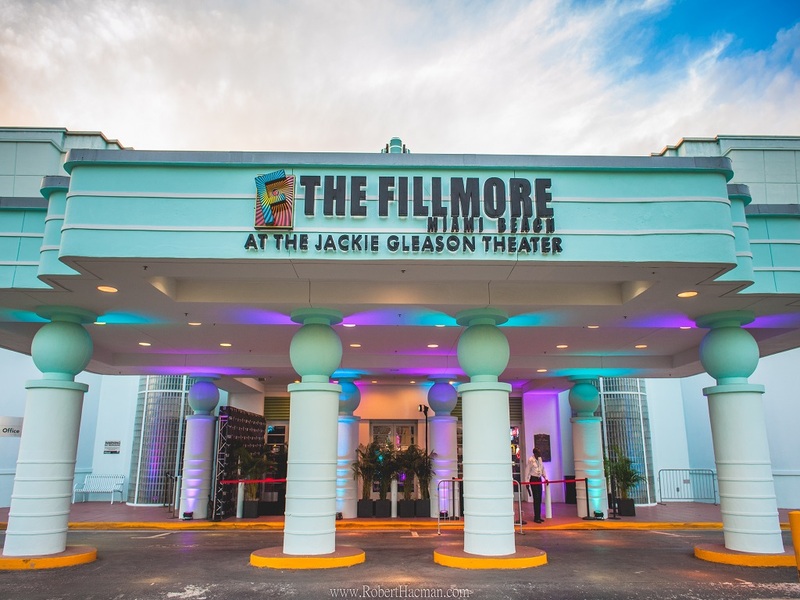 The Fillmore Miami Beach at the Jackie Gleason Theater is a seamless blend of Miami Beach art deco and rock and roll ambience. This classic 1950 theater is the perfect location to host your next corporate event, private concert, award ceremony, cocktail reception, product launch, fundraiser or business meeting. Its grand entrance, complete with a porte-cochere, an expansive front lawn and 12 custom poster boxes, are perfect for showcasing your brand. Located adjacent to the Miami Beach Convention Center, the Fillmore Miami Beach accommodates 5 to 2,700 guests. Our talented staff handles every detail, so you don’t have to!